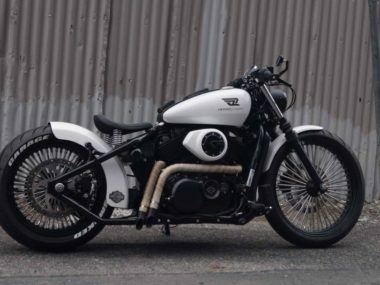 The Yamaha Bolt – the Japanese Sportster. 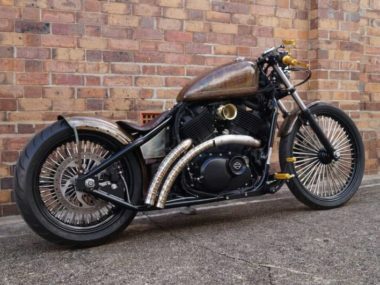 As close to a Harley without being a Harley as you can get, really. 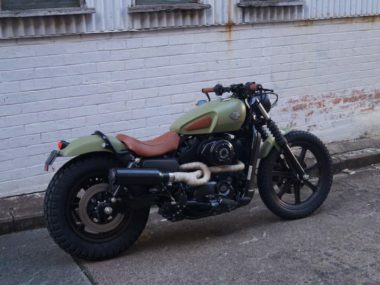 Not as big as a 48 (950cc) but still plenty of pull to get you to where you wanna go. And they make for a pretty rad custom too. 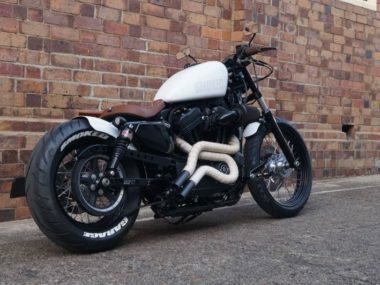 As well as some serious cosmetic mods, this blacked out tarmac-tearer is also fitted with a TBR air filter & full exhaust system, as well as a Dynojet Power Commander – she flies, and sounds like an absolute beast. 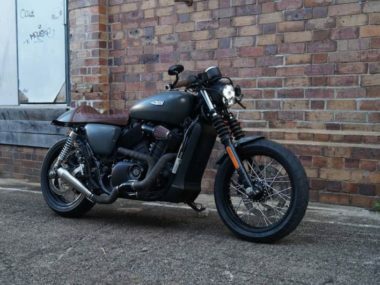 Check out the vid below to hear her growl..
Review of Yamaha Bolt 950 Bobber "Dark Magic"